Since the bike parts I ordered online were sent to me at work, my poor colleagues who sit in cubicles closer to the front door than me had to greet these parts upon arrival. Their enthusiasm never seemed to matched mine. I also bought Ritchey Logic clipless pedals and knew I was close to the first step in building a bike. 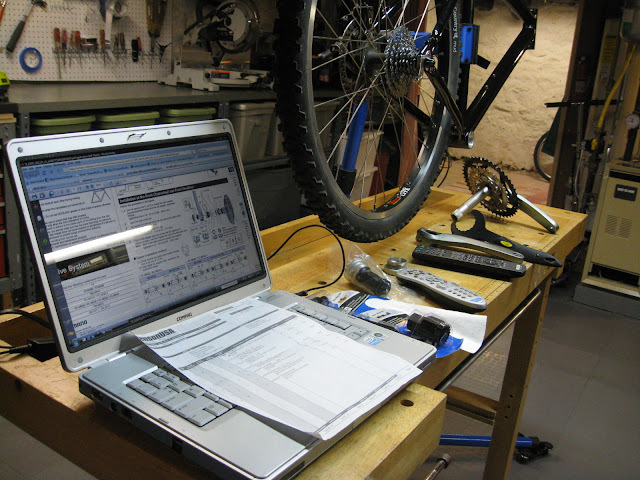 I put the bike frame my Park Tool PCS-9 stand and set it over my $40 Ace Hardware garage sale bench and realized I didn't have instructions on how to install, so I was forced to look it up online. Now putting it on the frame wasn't really a strenuous chore, I was just second guessing myself and worried I'd ruin both the frame and the crankset. I watched a little Top Gear while simultaneously trying to figure out the installation. I did plan ahead: you'll notice on the workbench, near the crankset, is a tool with a yellow sticker on the black handle and a crescent moon-shaped end. 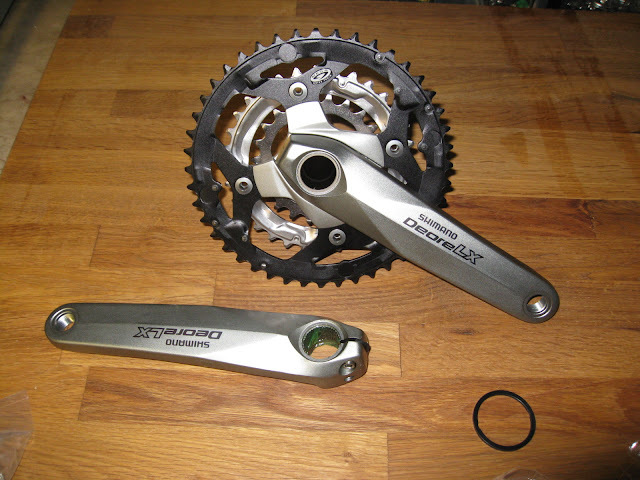 That's how you tighten the crankset, so if you do this make sure you buy or borrow that tool. I must have spent five full minutes just pushing down on the pedal and watching that thing spin around. 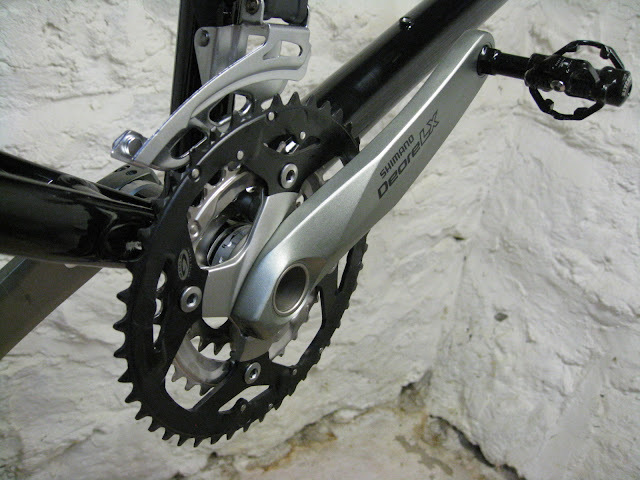 I also put on the front derailleur even though I had no idea, at the time, what a nightmare that one little component would become. With this project, I tried desperately to take my time and not rush, even though I was really excited to build. Much of my adult life has been structured around deadlines; doing 'X' before 'Y.' Calling so-and-so back by 3:00. Getting on the Metro North at 5:25. Not on this project. I knew I could build it faster but I didn't care that I was losing valuable weeks of riding time: it's my project and it is on my half-baked, laid-back, oh-I-didn't-realize-it-was-dinnertime-already schedule. Ordering parts online from different places fit into this kind of a drawn-out plan well. Several more parts were already winding their way across the country to my co-workers unhappy arms, but even more importantly: I was going to pay M.C. a visit to buy some of his components and get some of his help.